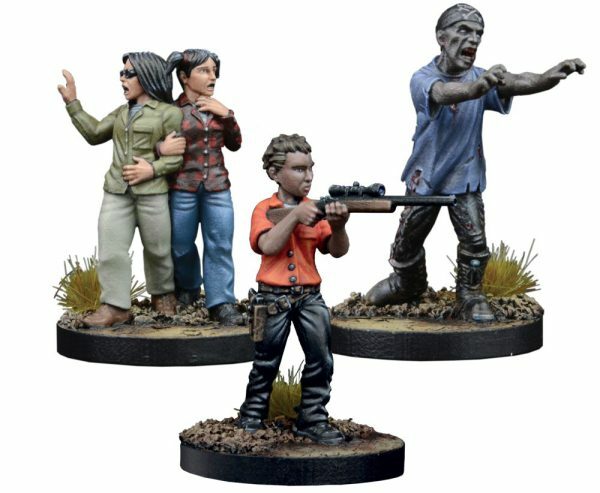 The Waking Dead Table Top Game – All Out War’sWave Four will be with us soon. In fact, you can pre-order now from the Mantic website or your local game store. This wave tells the story of Rick’s ill-fated encounter with the tyrannical Brian Blake – also known as The Governor. In the Made to Suffer expansion, you’ll find a whole host of new scenarios, objectives, a new map and a cardboard counter of the infamous tank driven by the Governor! 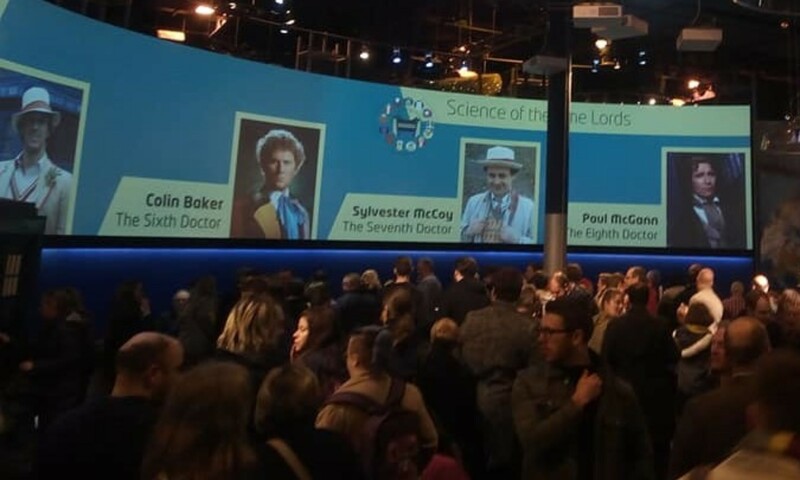 In addition to Night Time Battles, New Scenarios and Special Objectives the factions and alignments have been given a big tweak allowing for large scale battles. These factions are indicated by a symbol on a character’s survivor card. As you would expect in the Walker-strewn streets of Atlanta, allegiances are hard to come by. 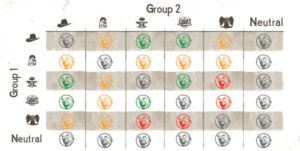 As a result, there’s a special table to show whether Survivors are automatic allies (grey), trusted allies (green), tenuous allies (amber) or enemies (red). Once you’ve put your gang together, it’s time for war! Unlike a typical game, these battles are not about resource-gathering, or even clearing out Walkers, but instead hinge on bad blood, revenge and displays of power. To win a game you must take out your opposition. Add up the points values – including Equipment – of all the models you killed, and work out the difference. Previous PostPrevious Tom Scioli’s Acclaimed Transformers vs. G.I. Joe Series Gets Deluxe Package!